The best-looking sponge rabbit available, Magic by Gosh's 3-D Rabbits are perfect for the classic multiplying rabbit routine. Cream in color with brown ears and spots. The 3-D Rabbit deluxe measures 5 inches from nose to tail and 3 inches tall. 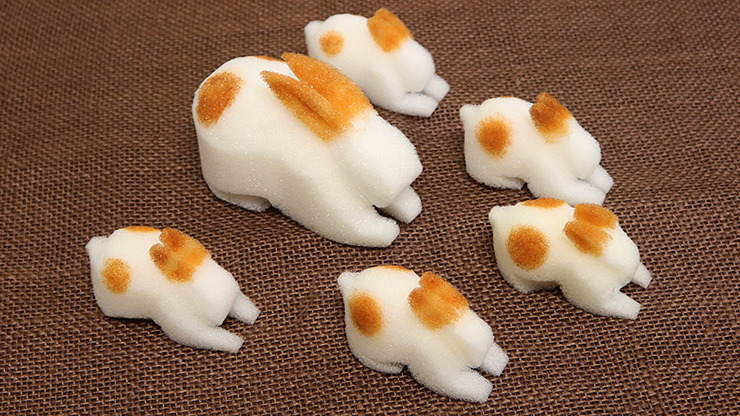 Comes with one large bunny and five small bunnies measuring 3 inches from nose to tail and 1.5 inches tall.